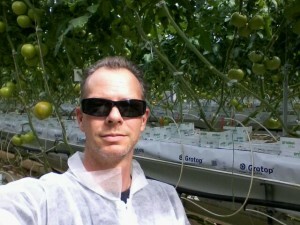 How did you get into Greenhouse Agriculture? In the fall of 2001, I was on a tour of agricultural operations up the central coast with a group from university. While I was always interested in greenhouse growing I had no concept of the scope or possibilities of greenhouse farming until we visited Houweling’s Nurseries. From that moment, I knew the career I wanted to pursue.